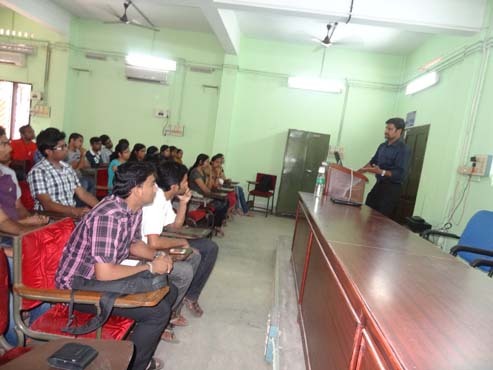 On 5th October, 2013 an awareness session on organ donation and transplantation was organized at the Conference Hall of Sree Chitra Tirunal College of Engineering (SCTCE), Pappanamcode, Trivandrum. It was organized by the National Service Scheme (NSS), Technical Cell, SCTCE, Trivandrum. They had invited Kerala Network of Organ Sharing (KNOS), Mrithasanjeevani, Kerala to conduct the session. Mr. Aneesh P V, Transplant Coordinator, MOHAN Foundation – deputed at Trivandrum Medical College, Trivandrum represented KNOS and addressed the gathering. Mr. Aneesh in his presentation spoke about the importance of organ donation; about live and deceased organ donation; about the difference between brain death, coma and cardiac death; about pledging organs through a donor card; about the importance of the family giving consent for the donation to take place and about the role played by Mrithasanjeevani in strengthening the deceased organ donation programme in the State of Kerala. The participants raised several questions. Few of them being: how can a patient register with KNOS, what is the success rate of genital organ transplantation and if there is any disfigurement of the body when organs are retrieved. Around 40 people participated in the event and all of them signed the donor card. Further; they requested Mrithasanjeevani to help them conduct another session for a larger audience which would include teachers, engineering students and their parents.